As Doreen keeps pointing out: the name of the climb sounds a little like "It’s So Hard". Yep. 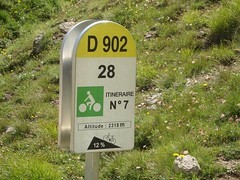 20 kilometres. 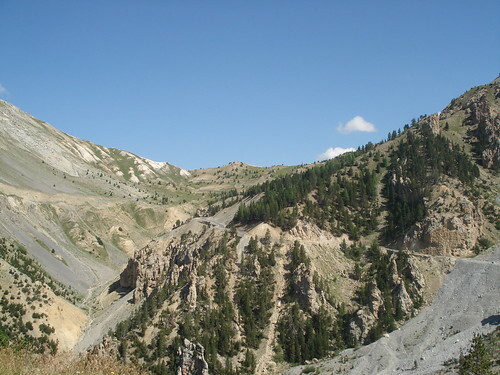 1,200 metres vertical (4,000 feet). This is truly a legendary climb and one of the main objectives of this trip. 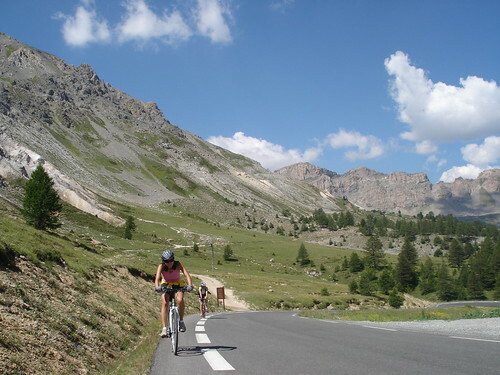 The good thing about cycling up mountains is it is a great way to avoid the heat-wave (canicule) and is it ever hot. This climb is in the Tour pretty much every year, although we were climbing the descent part from this year’s comptition. 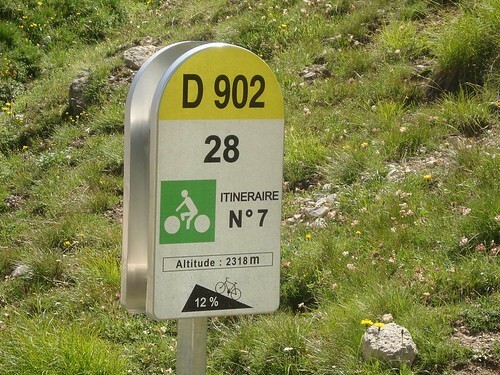 We are in cycling country, with big rides everywhere so kilometre markers give the altitude and the steepness of the next kilometre – 12% YIKES (It’s So Hard – Izoard)! Doreen also rode today. Here she is about a kilometre from the top. At the top (2,356 metres – almost 8,000 feet) is a big obilisk for celebration photos. It thanks the french army for building the road. I have some great photos from the Tour de France from the early 1900s climbing along gravel ledges of the original path. 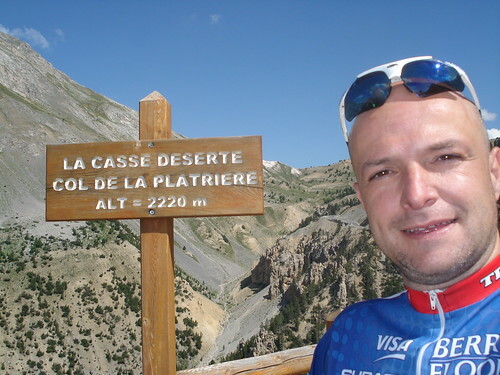 While waiting for Doreen I dropped a couple of kilometres over the other side to the famous "Casse Déserte" (broken desert). A surreal barren environment and a precarious road. As usual on a route like this, there were loads of cyclists. A great ride.